The $54 bln U.S. automaker made more money than expected in the second quarter thanks to a shift from cars towards trucks and crossovers. Now, though, it’s making too many smaller vehicles. After exiting unprofitable overseas markets, CEO Mary Barra has to slim down at home, too. 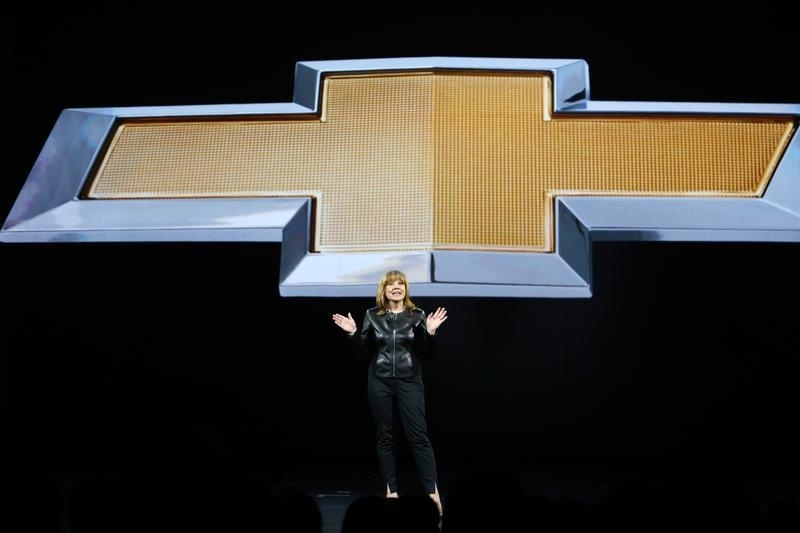 General Motors Chairman and CEO Mary Barra speaks during a keynote address at the 2016 CES trade show in Las Vegas, Nevada January 6, 2016. General Motors on July 25 reported net income attributable to shareholders of $1.7 billion, or $1.09 a share, in the three months ended June, down from $2.9 billion, or $1.81 per share, in the same period a year earlier. Excluding losses and writedowns on international operations the company is selling or closing, GM’s adjusted earnings for the quarter amounted to $1.89 a share, compared with analysts’ consensus expectation of $1.69. Revenue was $37 billion in the latest quarter, down 1.1 percent from a year earlier. U.S. dealer inventories were up 273,000 from the same period a year earlier, to a 105-day supply. The company said it would reduce inventories to approximately 70 days worth of sales by the end of the year. The company reaffirmed guidance for adjusted earnings of $6.00 to $6.50 per share for all of 2017. Separately, the U.S. Department of Transportation on July 25 said that it may revise federal fuel efficiency rules beginning in 2021, a year earlier than the Trump administration had previously planned.